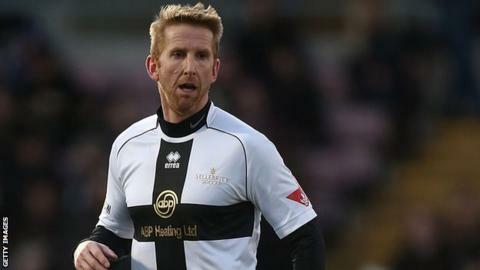 Former Wales striker Iwan Roberts says knowing a rival team's line-up could be a boon or a curse. Roberts' comments came in the wake of unproven allegations that Crystal Palace had Cardiff City's selection before their 3-0 win there on 5 April. "It might be good if you get the team-sheet early and you find out Gareth Bale isn't playing against you - you might sleep easily," said Roberts. "But if you find out he is playing, you might have have a sleepless night." Roberts says in a career spanning almost 20 seasons via Watford, Huddersfield, Leicester, Wolverhampton Wanderers, Norwich, Gillingham and Cambridge United, opposition selections would often be available. "It's a hard one to explain. I don't think it gives one team an advantage because you've still got to go out and perform and win the game. "When I played it would happen. "A player would have a mate in the next team you were up against who would be out of favour and would let us know their line-up so you'd have it the night before. "It has been going on for years and years and years." But a rival club's inside information about the availability or otherwise of a world class talent such as Real Madrid's Welsh star Bale could be a double-edged sword, says Roberts. He said: "It can be an advantage or a disadvantage. "It might be better to only have [that information] an hour before kick-off to worry about it." Cardiff City allege Crystal Palace gained an unfair advantage ahead of their recent Premier League encounter by discovering the Bluebirds' line-up before the official pre-match announcement. Crystal Palace have denied the claims and their Welsh manager Tony Pulis has declined to comment. The Welsh club's claim is now being assessed by Premier League officials and has become one of the hottest topics in British sport.